The City of Toronto is formally calling out Airbnb regarding its short-term rentals. A Member Motion about rental platforms introduced by Councillor Joe Cressy and seconded by Councillor Kristyn Wong-Tam was supported by councillors with a 21-1 vote, and calls for the popular rental site to delist properties not playing by the rules. The regulations, which tried to strike a balance between permitting home-sharing in a principal residence, while simultaneously creating a legal framework to allow the service and protect the city’s fragile rental housing stock, were then appealed to the Local Planning Appeal Tribunal. “In a city that suffers from a severe affordable rental housing crisis, with 8,700 homeless Torontonians, and a tenant population of whom close to half makes less than $40,000 a year, losing thousands of potential rental units to commercial, short-term Airbnb rentals that accommodate tourists is unconscionable,” says Bahar Shadpour from the Advocacy Centre for Tenants Ontario. The group says that voluntary compliance by Airbnb would result in the delisting of over 8,200 currently non-compliant listings, out of which 6,500 entire homes could be transferred back onto Toronto’s long-term housing market. The Federation of Metro Tenants’ Associations estimated 3,200 units were Airbnb’ed in 2016, 4,600 units in 2017, and more than 6,500 units in 2018. But, in a statement to Daily Hive, Airbnb says that report that Councillor Cressy is using to support this motion was paid for by a hotel lobby group and is based on faulty assumptions and poor research. “Airbnb and its more than 14,000 Toronto hosts worked collaboratively with the city throughout the regulatory process for short-term rental regulations,” said Alex Dagg of Airbnb. Dagg also said that a group of hosts launched an appeal at LPAT because they felt the regulations weren’t fair. She said this could potentially open both the city and Airbnb to legal challenges. “It is troubling that Councillors Cressy and Wong Tam are working with the hotel lobby to advocate for bypassing a democratic appeal process put in place to give voice to the citizens of Toronto,” Dagg said. Currently, the vacancy rate for apartments in Canada’s rental market is below the average of the last 10 years. 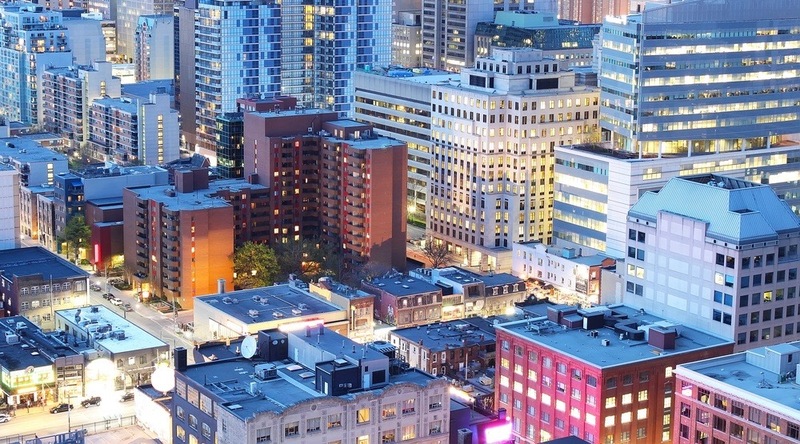 In fact, Canada’s overall vacancy rate declined for the second year in a row to reach 2.4%, from 3% in 2017, according to Canada Mortgage and Housing Corporation’s (CMHC) Rental Market Survey. In Ontario, the vacancy rate remained near historical lows at 1.8%, compared to 1.6% in 2017. The lowest vacancy rates can be found in Kingston at 0.6% and Toronto follows at 1.1%. Additionally, about a quarter of renters in Toronto are spending more than 50% of their income on rent, according to the Canadian Rental Housing Index. Its recent list shows 23% of renters in Toronto spend over half their household income on shelter, putting a growing number of families and individuals at a crisis level of spending and at risk of homelessness. A recent Rentals.ca report also predicts that rental prices may go up 11% in 2019 in Toronto.